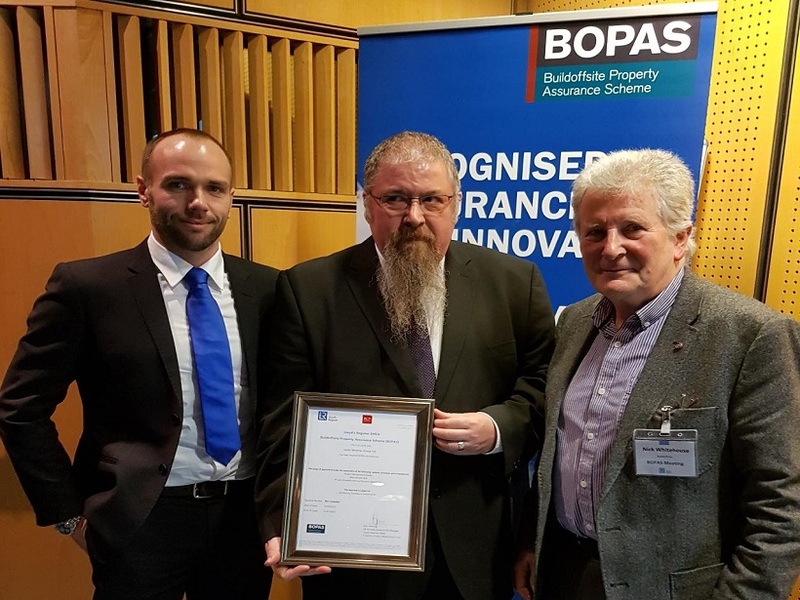 Congratulations to Lesko Modular Group who received their certificate at the recent BOPAS Briefing in London. Lesko Modular Group, based in Peterborough, has been awarded accreditation for Project management of design and manufacture. Photo L-R: Jack Randall, Andrew Peters and Professor Nicholas Whitehouse (Buildoffsite).